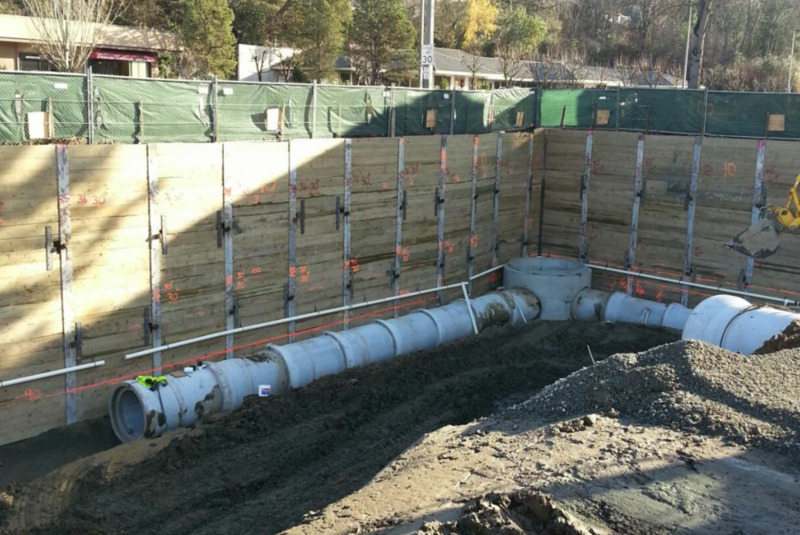 Working for customer SRM, we completed a major storm drain re-route to make way for their new Bellevue building with large concrete pipe around its foundation. In order to install sections of large man-holes, we worked alongside Ness Cranes to lift its 20,000 pound sections into place. Although it is always our top priority, it is always welcoming to have a great customer like Lease Crutcher Lewis reinforce safety elements to ensure all our guys make it home safe at the end of each work day.